I was able to combine 3 challenges with this one card. 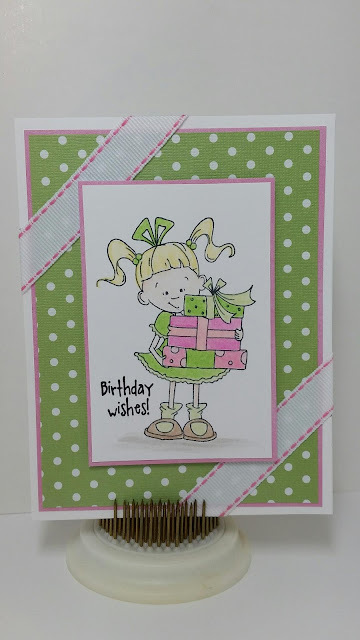 A sketch from Tuesday Morning, colors from Paper Players, and a birthday theme from Kraftin' Kimmie Stamps. I love how it turned out. Very bright and cheerful and yet simple. Oh this is just the cutest! LOVE KKS stamp and how you coloured her! Thanks for playing with us at The Paper Players. So cute!! I love your image! Pretty color combo! Pretty little card and image. LUV what you've done. 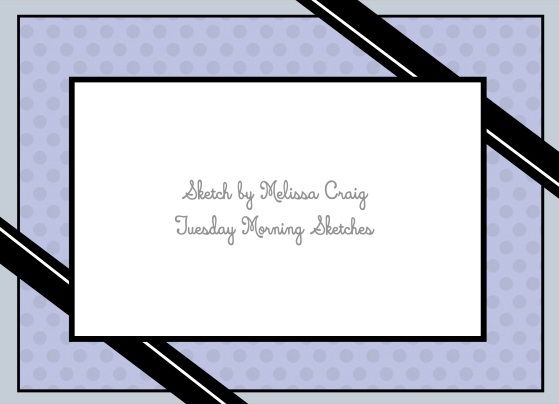 Thank you for sharing it with us this week at Tuesday Morning Sketches. This is so sweet - a girl of any age would love to receive that. Thank you for joining us at Tuesday Morning Sketches.